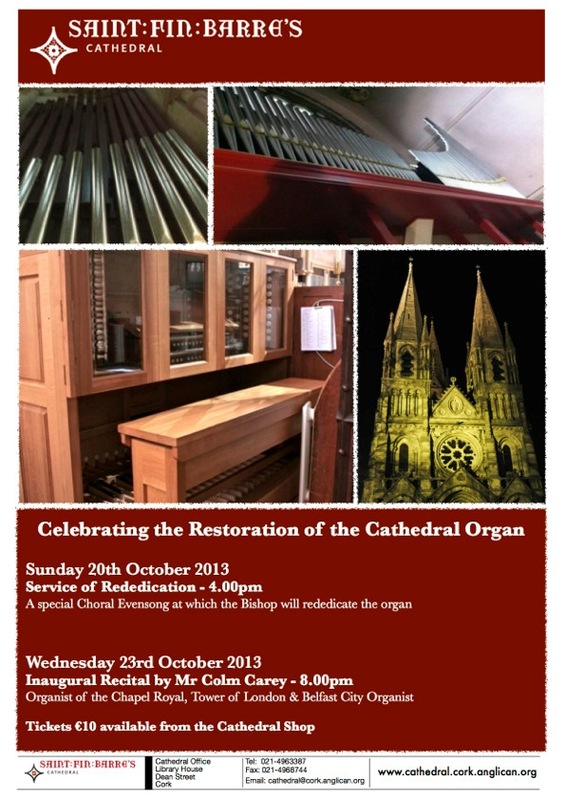 All are invited to attend and are welcome to St Fin Barre’s Cathedral Cork on Sunday afternoon 20th October, 2013 for the re-dedication of the Cathedral organ by the Bishop, the Right Reverend Dr Paul Colton. During Evensong, sung by the Cathedral Choir, the preacher will be the Dean of Cork who has led the Cathedral confidently and courageously through this major project of restoration and development. This entry was posted in Bishop, Cathedral, Church Services, Special Events. Bookmark the permalink.